Climbing through trees precariously close to one of the world’s largest natural predators may seem like a nightmare to most people, but it was just a regular day in the office for University of Queensland PhD candidate Alexander Braczkowski. The researcher who recently completed work on the National Geographic documentary Tree Climbing Lions has spent years intently focused on this class of apex predators. Braczkowski talks with National Geographic in this short clip about the rescue of a lioness who was the victim of a snare trap - bush meat snaring is one of the biggest threats facing lions and other African wildlife. Source: National Geographic. After growing up in an area surrounded by leopards in South Africa, Braczkowski found himself innately drawn to big cat research, even in his undergraduate years. 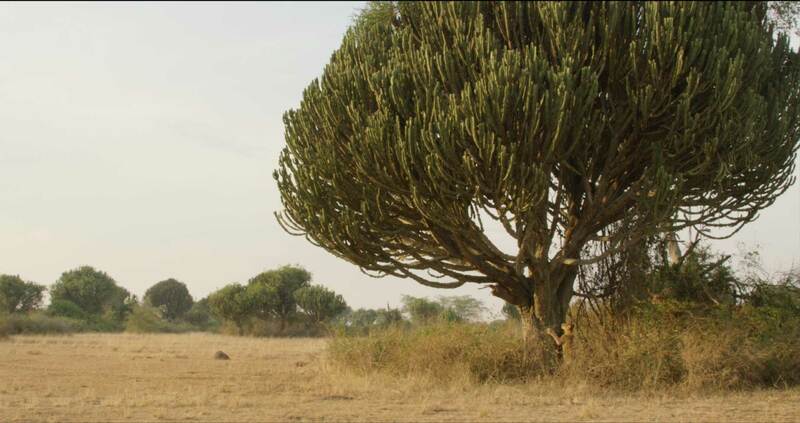 “Every afternoon after class I would run outside to the surrounding hills to try and find signs of the leopards. Braczkowski’s focus eventually shifted to other genera of big cats; by the time he joined The University of Queensland as a PhD candidate his research had concentrated on lions. His interest in these animals was so profound that he travelled more than 7000 kilometres, across five countries in a small beat up Suzuki, to study and document a population of unique lions in Uganda. Photo: Brackowski on location for a shoot. Source: Matt Myhill. While most lions will occasionally climb trees, the prides found in Queen Elizabeth National Park, Uganda spend almost all of their lives in fig and candelabra trees. Background photos and opening video: Ugandan lions and cubs in trees. Source: Alexander Braczkowski. Braczkowski Reflects on his work with the lions during the documentary in this National Geographic clip. Source: National Geographic. A talented filmmaker, Braczkowski worked as Director of Photography in addition to leading the science on the documentary. “Being in charge of both the photography and the science for this documentary was difficult as they’re quite different roles – but I enjoyed the challenge,” Braczkowski said. In his dual roles, Braczkowski tried to really draw out the personality of the individual lions he had tracked and gotten to know over time. “I treat these animals as individuals,” he said. “I knew I had to get as close as I could to the lions to allow people to emotionally connect with them, to tell their stories effectively. Braczkowski’s PhD research has focused on addressing deficiencies in modern monitoring systems and using science to drive conservation to protect lion populations. “The monitoring systems in place are not effective, which is astounding when you consider the local economic benefit that lions bring to a region – individually each lion represents a boost of approximately $14, 000 USD to a region,” he said. “If you compared this, for example, to the Australian Census, simply knowing the approximate number of people in an area is useless. “You need to know how many people are coming and going and how the population is faring health wise in order to get an understanding of how a population is actually doing whether they are thriving or suffering,” he said. Through his research Braczkowski has developed a new monitoring method which not only decreases the margin of error in estimating a population, but also gives an overview of how the population is faring in particular locations and environments. “It is important to track a population effectively and set strategic goals for how you can improve conservation targets while also considering the complex political, economic and social factors at play,” he said. “Lion populations are under threat, particuarly from growing human populations which increase the risk posed by farmers who are attempting to protect their livelihoods and poachers seeking the lions as trophy kills. “Ignoring these factors and failing to provide solutions doesn’t help tackle the situation at hand. Photo: Ugandan tree climbing lion at dusk. Source: Alexander Braczkowski. 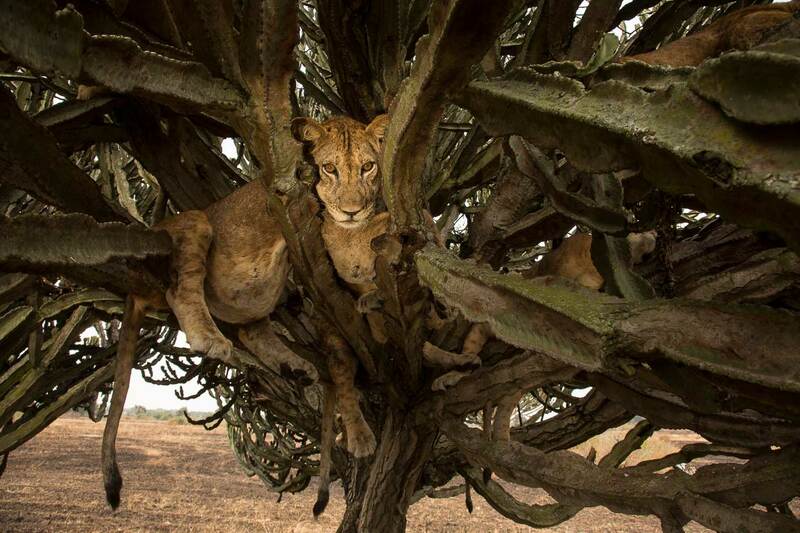 Video: Lions climbing a tree in Queen Elizabeth National Park. Source: Alexander Braczkowski.